So you’ve decided on granite for your next house project; and we don’t blame you! 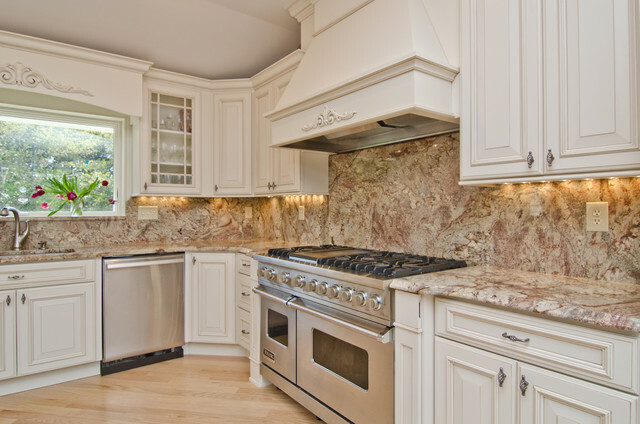 Granite is beautiful, durable and relatively budget-friendly. But granite also varies in color and patterning, which can make it difficult to style into your kitchen or bathroom. With some busy patterns and speckling and some subtle, simple looks, granite can prove to be hard to ‘pair’ with design pairings like kitchen or bathroom backsplashes. Each granite slab is unique, made by Mother Nature so it’s not possible to label generic granite and tile pairings. However, these tile combinations can offer some pleasing inspiration for your specific granite top. We’ll just start with an on-trend classic and suggest subway tile. This tried & true, ceramic beauty has so much variation in color, size, shape, scale, finish and pattern, making it the most versatile backsplash option around. You can play with subway tile until you find a counter combination you’re in love with. Subway tiles also allow for more design fun with varying grout color options. 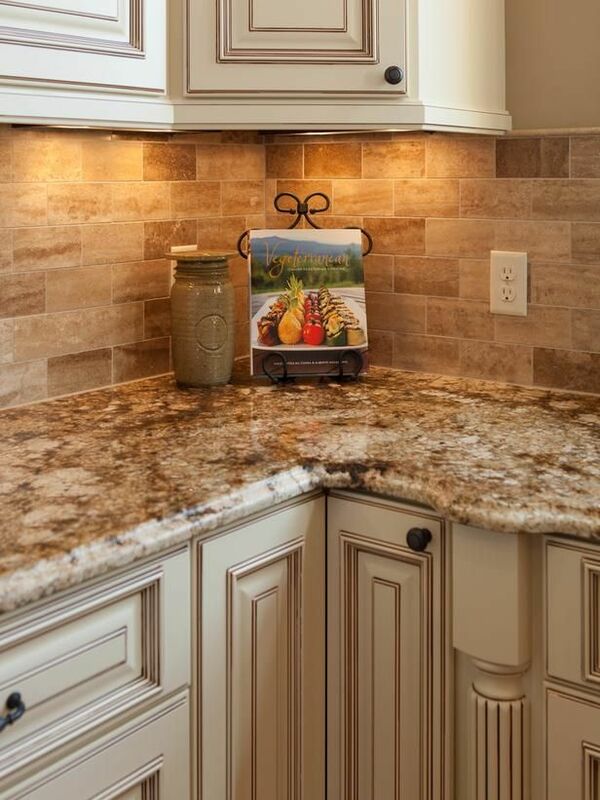 Large, rectangular backsplash tiles pair wonderfully with busier granite countertops. The large, un-patterned tiles offer a very simple look in contrast with an active granite flow. 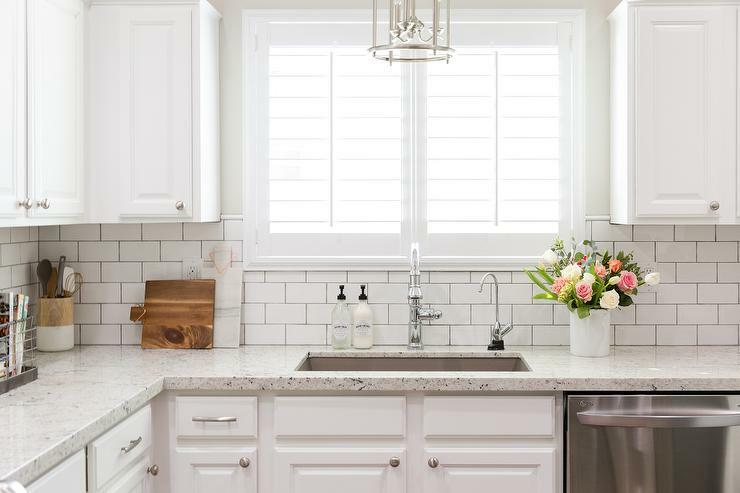 What naturally helps add to this great contrast is choosing an organic tile color – one that’s perhaps even plucked right from the pallet in your granite. Additionally, large tiles like the tried and true subways require a grout grid that’s very faint as to not distract from the tops. Changes in tile color tone can enhance and engage the eye up from a granite countertop. Varied tile colors, even with busier granite patterning, can make for a subtle and even calming counterpart. 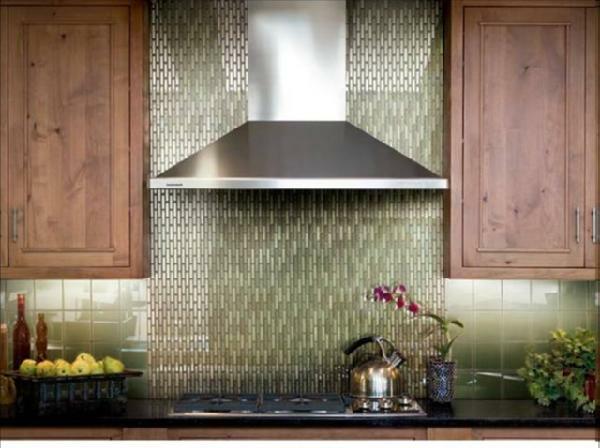 Keep in mind; it’s all about balance with varying your tile backsplash colors. It’s easy to fall into an overwhelming look, so keep the varied tiles smaller in size and in the same color family, or go for one added mosaic over the kitchen range for the perfect balance in simplicity and playfulness. We really love the incorporation of glass tile, but this material can sometimes intimidate customers and leave them unwilling to go glass. It’s really about finding the right combination of granite and tile when trying to avoid the very slippery slope of, again, becoming too busy. We’ve found that the best granite tops for a glass tile design are ones with very large patterning/veining. If granite has bright silver speckling or small, busy details, it could be very off-putting when paired with shiny, glass tile. If nothing in the tile world speaks to you, don’t forget to consider taking your granite countertop all the way up your backsplash or wall. First and foremost, this is a stunning way to show off your material’s beautiful pattern. It also adds a rich, natural texture to your entire room as you can pull accent colors from the granite into your cabinet colors and hardware finish. Granite all the way gives you the most bang for your buck and offers an effortlessly seamless look. 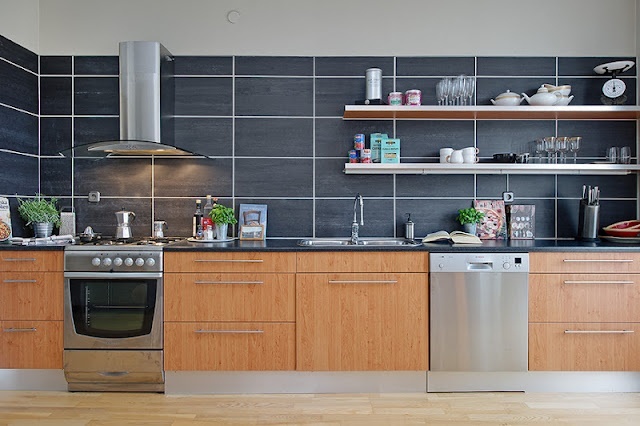 If you’ve fallen in love with or chosen a granite slab but still aren’t sure about that backsplash, consult one of our sales members or expert designers and visit a Tithof showroom today.